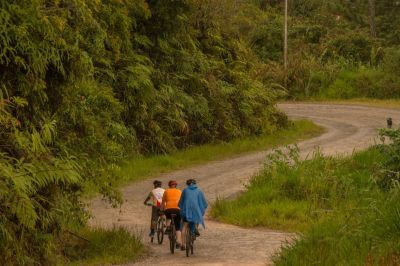 Bike and Tours is a specialized travel agency based in Sabah. It welcomes you to Malaysian Borneo, to the mystical states of Sabah and Sarawak. 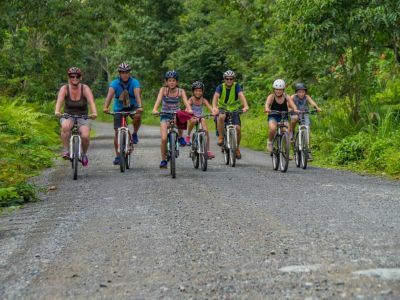 Bike and Tours collaborates with carefully selected group of partners to ensure that you experience high quality travel packed with incredible memories of both Sabah and Sarawak. At Bike and Tours, our attention is on YOU! Sabah and Sarawak Holiday Adventures! The itinerary we present is crafted in the best of your interest. We believe that the key to a smooth and quality travel experience is communication. 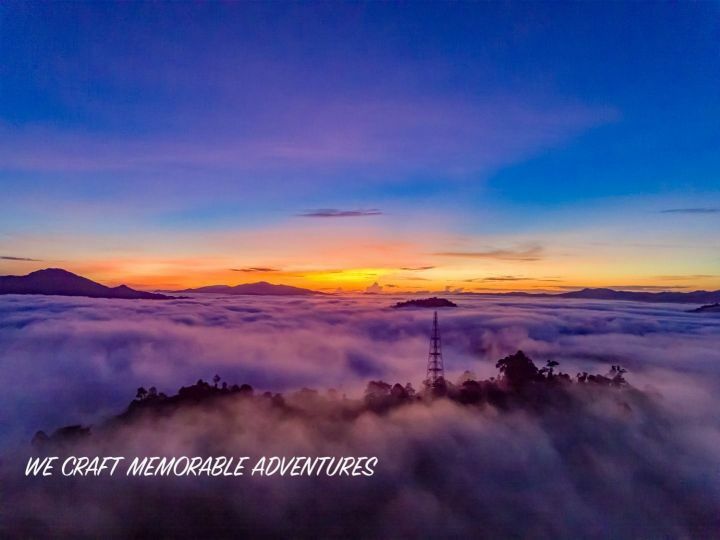 As such, we will work with you based on your desired travel requirements and budget whilst we provide suggestions and ideas based on our years of experience and connection with locals in Sabah and Sarawak. 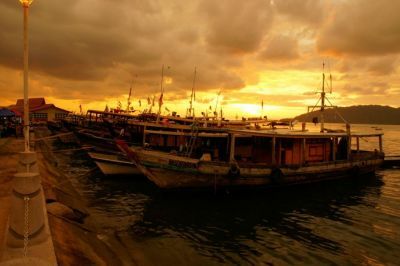 When it comes to Sabah the Malaysian Borneo, it is so easy for one to succumb to the natural diversity and fall in love with the beauty of this lovely state. The “Land Below the Wind” is what Sabah is referred due to its coordinates that is situated just south of the typhoon-belt. Sabah is the great escape from the hustle and bustle of the typical city life! 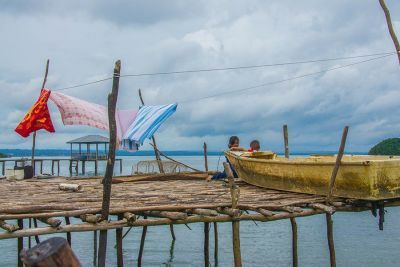 Besides the fact that it is politically stable and has good infrastructures, it is also the haven for eco tour adventure! 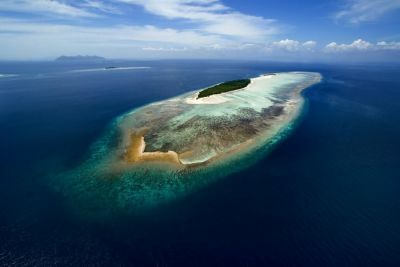 Sabah encapsulates a multitude of adventurous experience and activities. 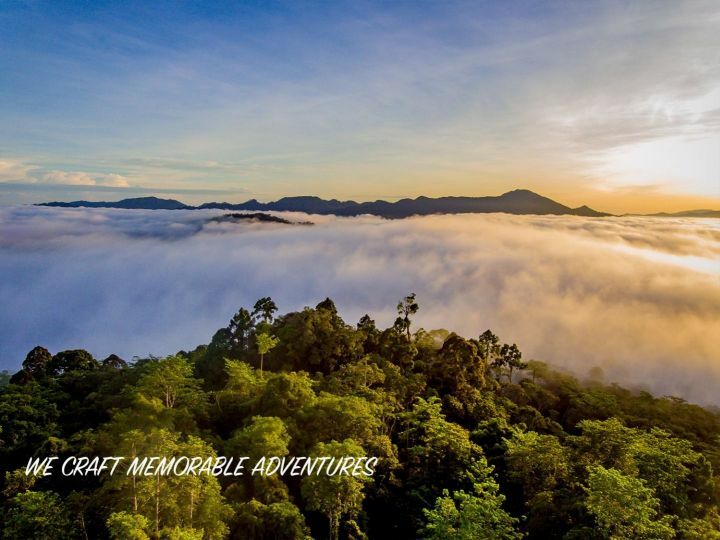 Sabah invites you to discover the mysteries of its deep emerald tropical jungles such as Danum Valley Conservation Area, Tabin Wildlife Reserve and Maliau Basin. Also highlights of non touristy spots like Bukit Piton and Sungai Kapur offers visitors a once in a lifetime wild Borneo experience. 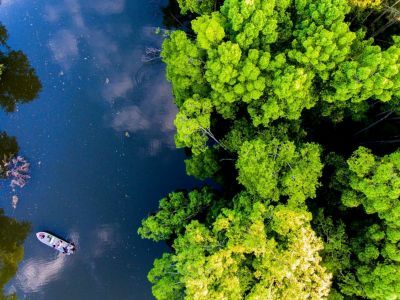 Sabah invites you to cruise down the second longest river in Malaysia – none other than the Kinabatangan River. Make sure your cameras are fully charged to capture shots of the Borneo wildlife in action! 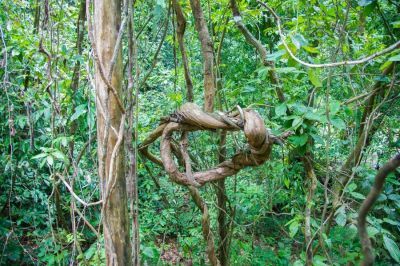 This is a place to be for sightings of proboscis monkeys, leaf monkeys, crocodiles, hornbills, kingfishers and monitor lizards to name a few. 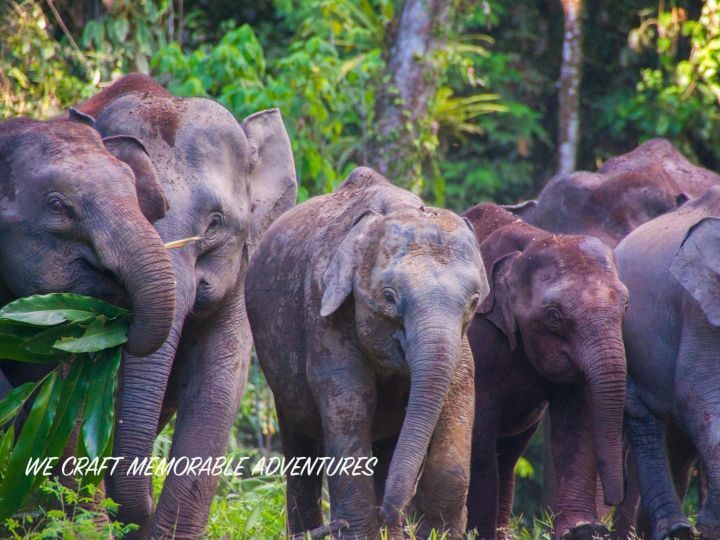 If you are lucky, you might also catch a glimpse of pygmy Elephants, Orang Utans and smaller wild cats. Sabah invites you to climb its’ mountainous areas such as Mount Kinabalu. The scenes up the mountain and its’ surroundings are dramatically breath taking. Those who have the thirst for mount climbing may choose to go all the way up. Bukit Piton and Sungai Kapur are the two places off the beaten paths. 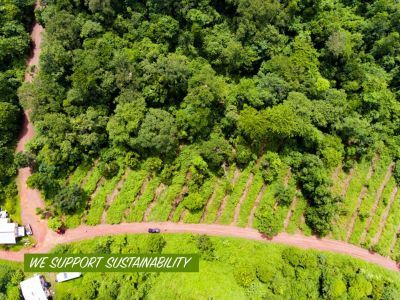 In Bukit Piton reforestation is done through the association of Brothers Cycling. 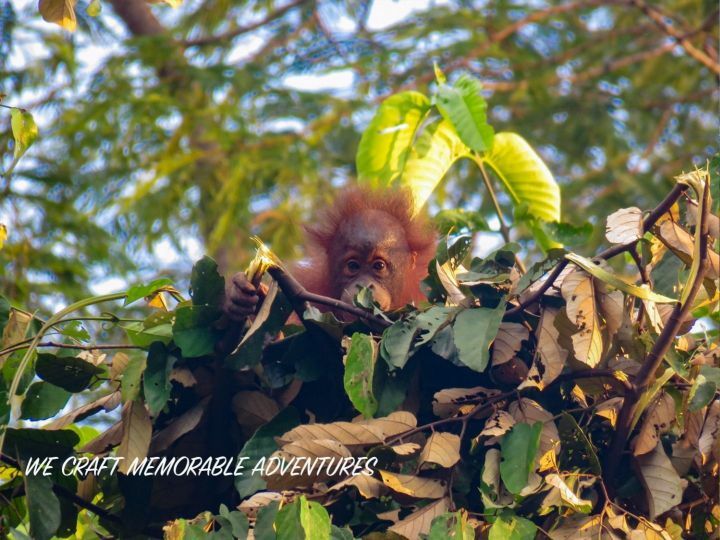 It is home to endangered wildlife especially the wild Orang Utans. Sungai Kapur is the fusion of the river and forest. Could be related to the features of Danum Valley and the Kinabatangan River in one spot. The difference is mainly the fact that Sungai Kapur is wilder and more remote than Danum Valley and the Kinabatangan River. A rugged adventure! If mountain climbing is not your cup of tea, then Sabah invites you to jungle trekking activities, or take a dip at the Poring Hot Springs which is rich with sulphuric minerals and known for its healing properties; or simply visit the scenic Sabah Tea Plantation! And yes, enjoy a cup of tea or two! Now what is an adventure without the sun, sand and sea right? 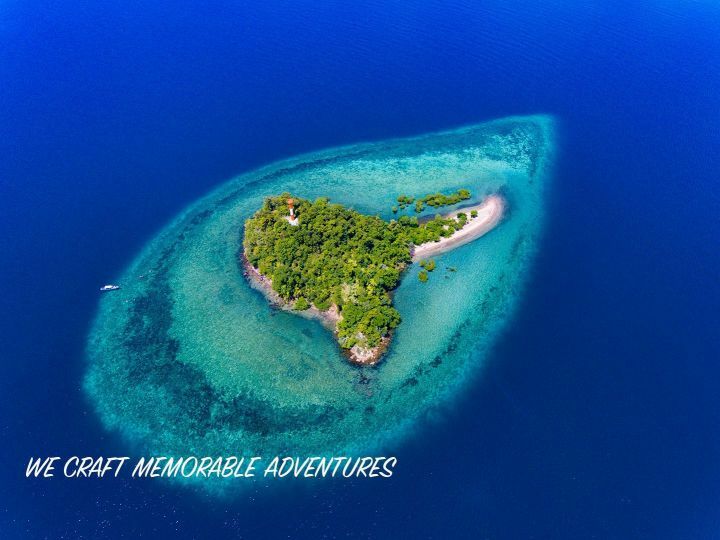 To complete it all, Sabah invites you to its gorgeous exotic islands such as Mataking and Pom Pom, Lankayan Island at the Eastern and Gaya Island at the Westernside of Sabah. Pamper yourself to a relaxing day on one of Sabah’s unspoilt sun drenched beaches or snorkel or dive your way to the turquoise sea salt waters to get a closer look at the aqua marine life! Yes, all that in Sabah - The Land Below the Wind! What more could you ask for? 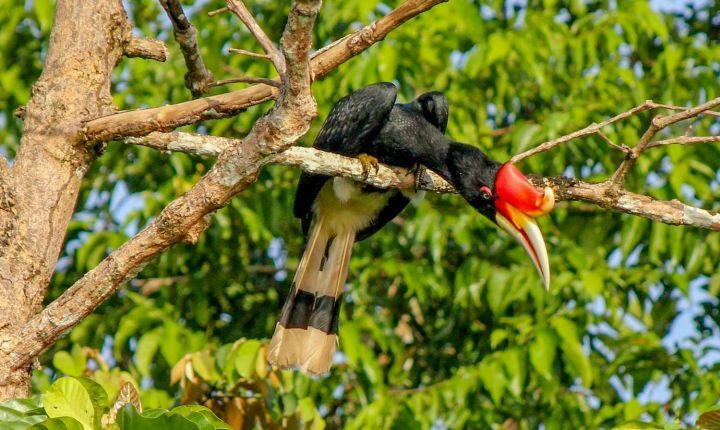 Sarawak wears the title of Bumi Kenyalang - The Land of the Hornbills. As one arrives in Kuching - the capital city of Sarawak they begin to observe sights of arts, culture, history and nature all at a glance. Sarawak was once under the Brooke British dynasty known as the “white rajahs”. This bit of history is prominently evident in the colonial architectures of Fort Margherita and Brooke Gallery right in Kuching city. In the same vicinity one will also come across Indian street markets, mosques & Chinese shophouses architecture and temples. This goes to show that Sarawak is a great melting pot of 27 Ethnic groups that is able to live together in harmony. Kuching – the city of convenience is also home to modern day arts that is depicted from the murals and bold graffities that add vibes to the Kuching city. Vibrant colors are creatively spread across walls of the new and old “concrete jungle”. The art work does not stray from historical, cultural and iconic features as some of the graphics visible on the walls are inspired by the tattoo motifs of the Iban tribe, orangutan, hornbills and traditional musical instruments. As for those who likes a bit of shopping therapy and on the lookout for unique souvenirs to take home. Then look no further as a visit to the shops along the main Bazaar Road offers handicraft, antics, batiks, Sarawak’s unique Pua Kumbu materials among others can be found here. After a few days of soaking in the beauty of Kuching city, one can explore the nearby Semenggoh Nature Reserve. This is a nature reserve that provides home to rescued animals mainly orangutan and crocodiles. A day trip to this nature reserve is a must to understand the history, the success and challenges that the reserve face at protecting these wildlife. Your Sarawak discovery of the city and nature is yet to be further explored as you make a stop of the Serian Market on the way from Kuching to Batang Ai National Park. This market in Serian town is a must visit for those who appreciates local produce. Amazing types of local tropical herbs, vegetables, meat, fish and many more can be found here. For those who loves cooking, you would definitely wish you have the kitchen facilities with you to dish up these fresh local produce. A visit to Batang Ai National Park is your window to discover the land of the historical headhunters! A cultural exploration that is not to be missed. Cruise down the dam of Batang Ai by taking the tailboat to the traditional Iban longhouses. 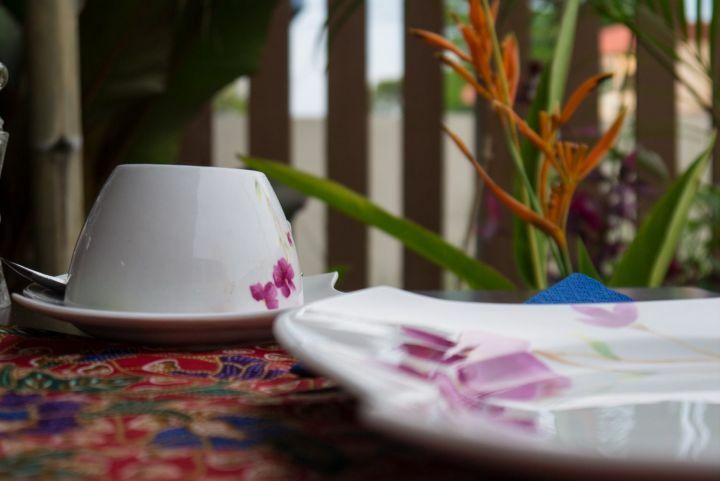 Learn the Iban’s lifestyle, the practicalities and their simple approach to happy life. One longhouse can house about 15 families at a time and a Chief is appointed to look after the wellbeing of his family and designate duties to each one of them. Observe their daily activities for leisure and economic means. On guided tours you get to interact with the Iban tribe and feast on the local cuisine which is most of the time cooked using the bamboo tubes. 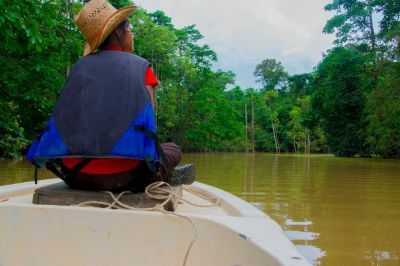 Moving from culture to experiencing nature, spend a few nights in Permai. A perfect spot to relax and unwind in the comfort of green nature. 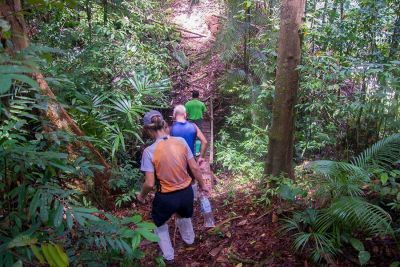 Nice jungle walk to look for the wildlife and also a base to go for Dolphine observation tour and visit the Satang Island to learn about the turtle conservation project. Not to be missed if you are in Sarawak is the Bako National Park. What a privilege to be surrounded by nature and trek your way to observe the wildlife. The Bako National Park is home to proboscis monkeys, bearded wild boar, snakes, naughty macaques, silvered leaf monkeys and many more. Whether you are in for a challenging trail or a fairly easy trail (for families with younger children) this is definitely a way to spend quality time with your loved ones in the heart of nature. Speaking of nature, another highlight of Sarawak that should be on the travellers bucket list is the World Heritage Site of Mulu National Park. It is also a place where majority of the Penan tribe originates from, in Sarawak. The Penans are known in the past to lead a nomadic lifestyle. They would explore the jungle for shelter and food source. In the face of economic pursue, the cutting down of jungle trees have created a pause for the Penan to continue living in the jungles. Today, most of the Penans have been relocated to concrete longhouses the government build for them in Batu Bungan. 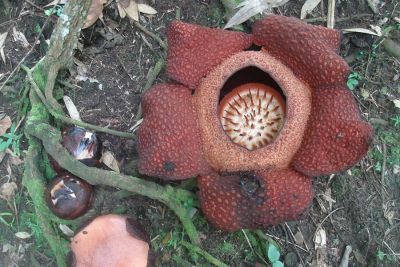 Besides the Penan tribe, Mulu is known for having an amazing wealth of biodiversity. 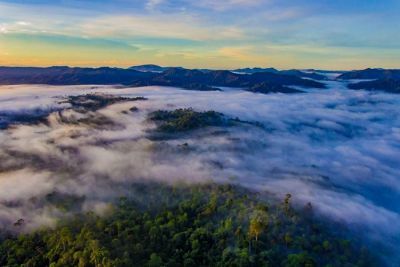 Mulu National Park is a protected rainforest that would appeal to outdoor lovers and adrenaline seekers. 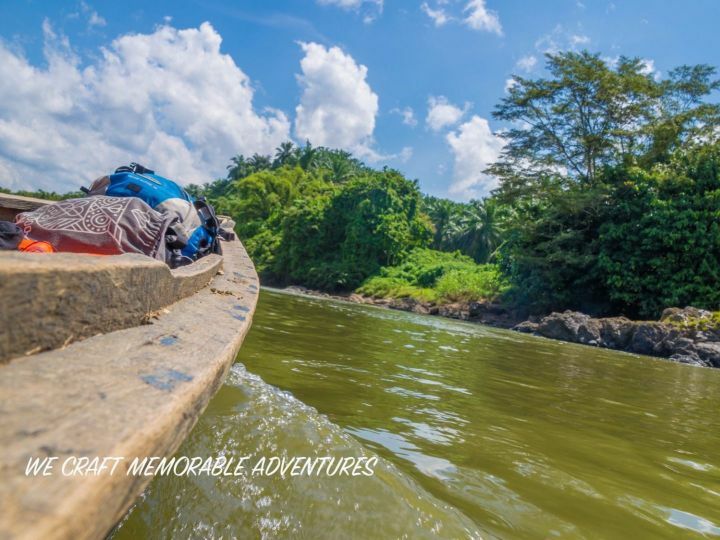 River cruises on the tailboat to reach from one destination to the other is in its own way an experience to amazing sights of nature and also lifestyle of the locals. Mulu’s most visited highlights are the Deer Cave which is home to millions of bats. Sharp eyes could lead to spotting the horned frogs, spiders and many more in this cave. During dusk, you will see the clear pink hued skies painted with crazy black dots that swamps in a coordinated move as the bats leaves its nest. Inside the cave is another world. Cool and mostly wet, the different shapes of stalactites and stalagmites adds soul to the interior of the caves. After all the trekking and cave visits, a stop at the clearwater offers a beautiful oasis to cool down for a swim and a dip. All those memorable adventures in the heart of nature and cultural exposure can be experienced at this lovely land of the hornbills Sarawak.